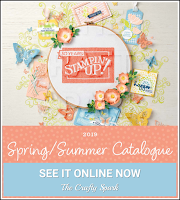 Have you opened your sparkly new catalogue yet? 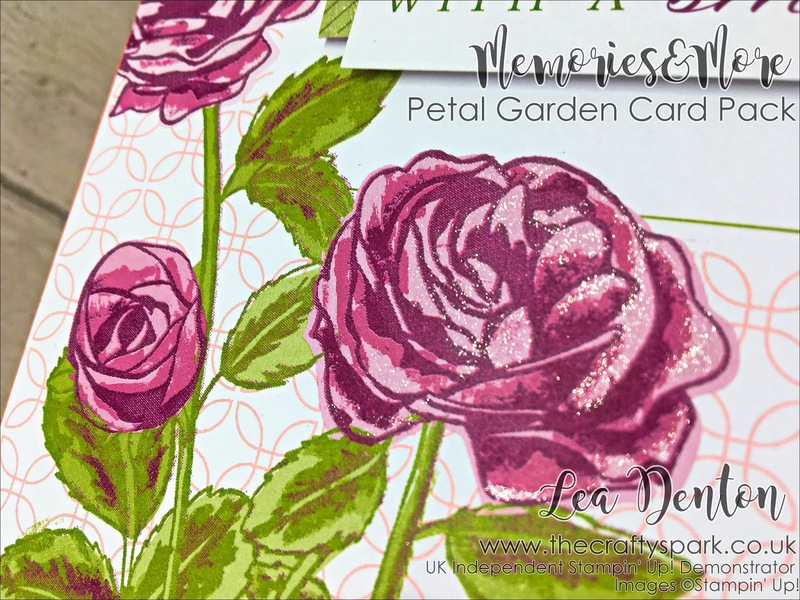 This Petal Garden Memories & More Card Pack (p.192) may not be the first thing that grabs your attention. 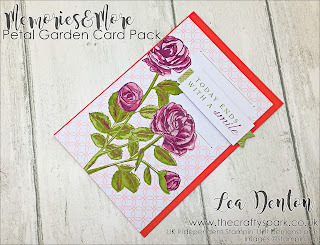 However, it is incredibly versatile and stuffed with goodies that can be used for memory keeping or, as I have used them here for simple cards. Forgotten that birthday? 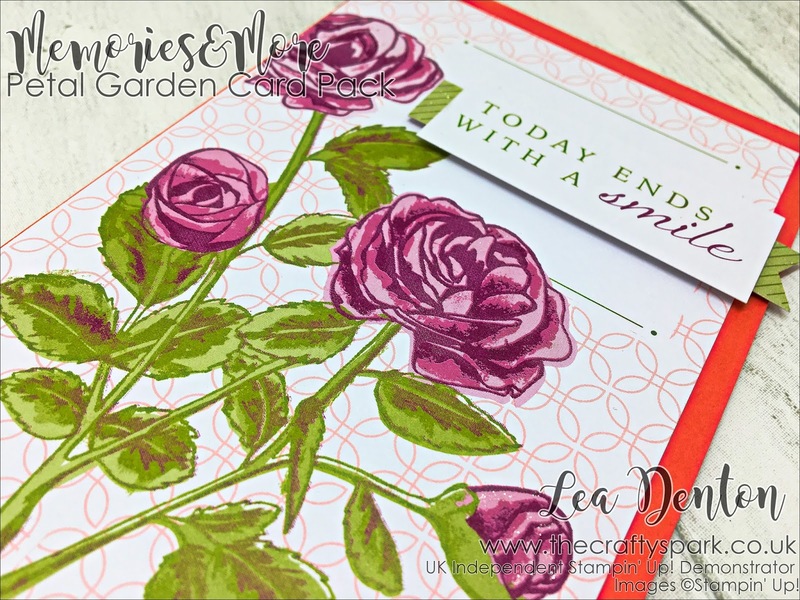 Need a quick notecard? Then this set is ideal! Each Memories & More Card Pack is crammed full of double sided cards, card stickers and and gold foil die cuts. 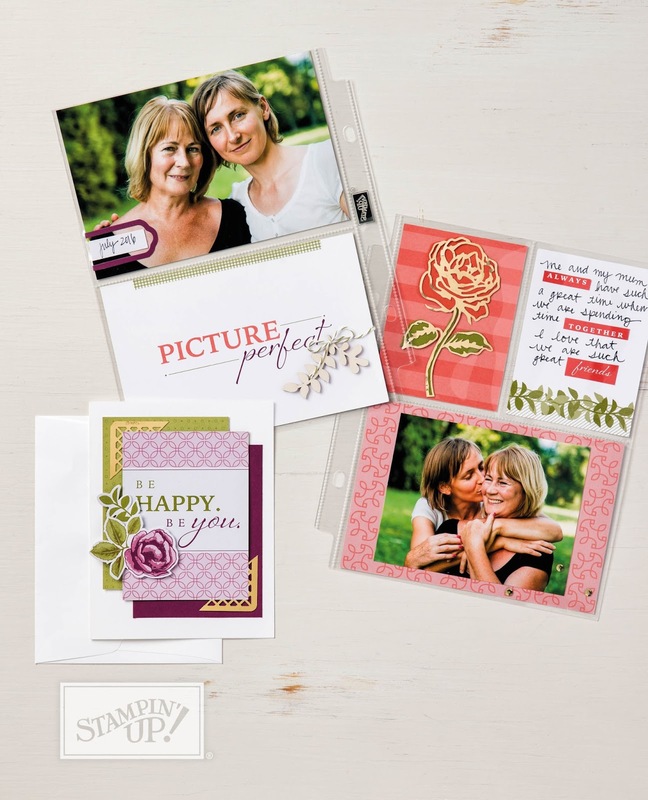 The spectacular designs can be trimmed down, cut out and combined to make amazing cards when adhered to blank card bases. 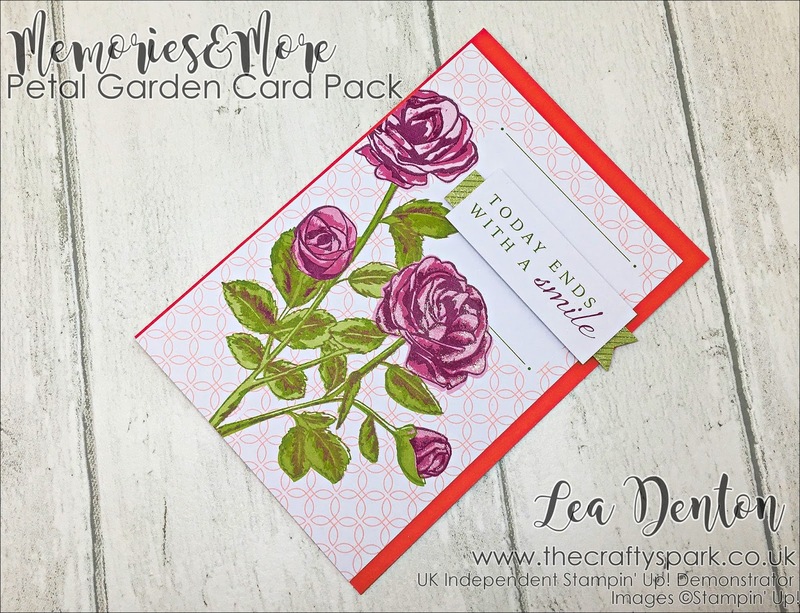 Why not sign up to my blog and see some of the other amazing cards that can be made with this kit as there's more to come over the next couple of weeks! All of the products mentioned in this Crafty Spark post can be purchased from me by clicking on the links at the bottom of this post or if you just fancy a schmooze through my shop just CLICK HERE TO SHOP ONLINE NOW. 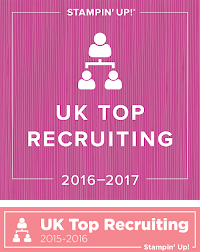 Please do remember that if your order is less than £150 to use this month’s Hostess Code which you will find at the top right of my blog below the tab navigation bar and at the bottom of each post. 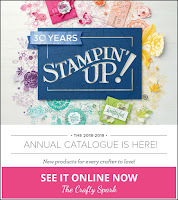 At the end of each month I add up all the Hostess Codes that have been used, convert them to Stampin’ Rewards and divide this between everyone that has ordered for that month….. which means….. YOU will receive a little something lovely through the post at the beginning of the following month but ONLY if you've used the Hostess Code. 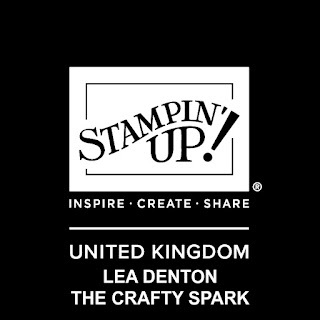 If your order is over £150 please don't use the code to make sure all the Stampin’ Rewards come directly to you (only individual orders in excess of £150 qualify for Stampin’ Rewards). 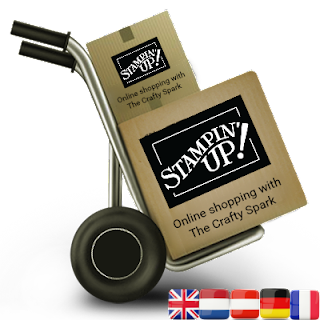 Unsure what to do or need help ordering? 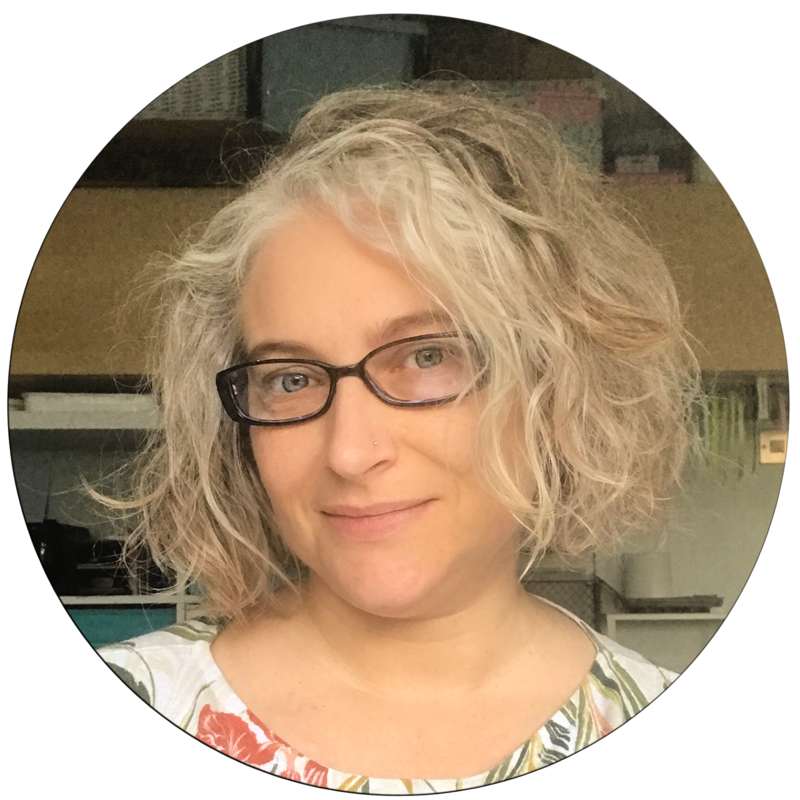 Click HERE or give me a shout and I'll help you out :) I love to hear what you think of my projects so please feel free to leave me a message in the comments section below.